OAKLAND, Calif. — February 13, 2018 — Today, Hound Labs Inc. announced findings from its national Marijuana in the Workplace survey conducted with 742 U.S.-based employers across both safety-sensitive and non-safety-sensitive industries. In aggregate, the results showed that 82 percent of employers are concerned about the impact of marijuana legalization, regardless of the legal status of marijuana in their state. Industry-specific responses show that more than 85 percent of employers in safety-sensitive industries and over 70 percent of employers in industries with minimal safety risks worry about the impact of marijuana legalization on workplace safety, lost productivity and increased workers’ compensation costs. More than 60 percent of employers have modified or plan to modify drug policies relating to marijuana use. The fundamental challenge for employers is that current methods of marijuana testing – including oral fluid, blood and urine – measure the presence of THC long after impairment subsides and thus do not enable employers to only test for very recent marijuana use that may cause impairment in the workplace. 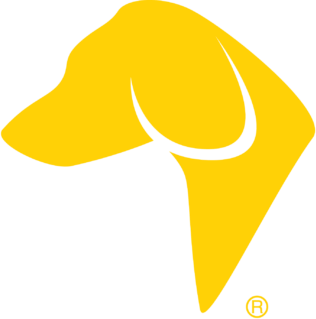 Additional details from the Hound Labs national survey can be found on the company’s web site. Hound Labs is a scientific research and device company that has developed ultra-sensitive technology for non-invasive breath measurement. Utilizing this groundbreaking technology, the Hound® marijuana breathalyzer is the world’s first breathalyzer to rapidly, accurately and inexpensively measure recent marijuana and alcohol use in a person’s breath. Founded in 2014, the Oakland-based company was created by Dr. Mike Lynn, an ER physician, reserve deputy sheriff and former venture capitalist, and his co-founders: Mr. Kuni Oh, a patent attorney with a deep background in engineering and science, and Ms. Jenny Lynn, a business executive with 20 years of experience in launching new ventures. Hound Labs is funded by Benchmark as well as individual investors.